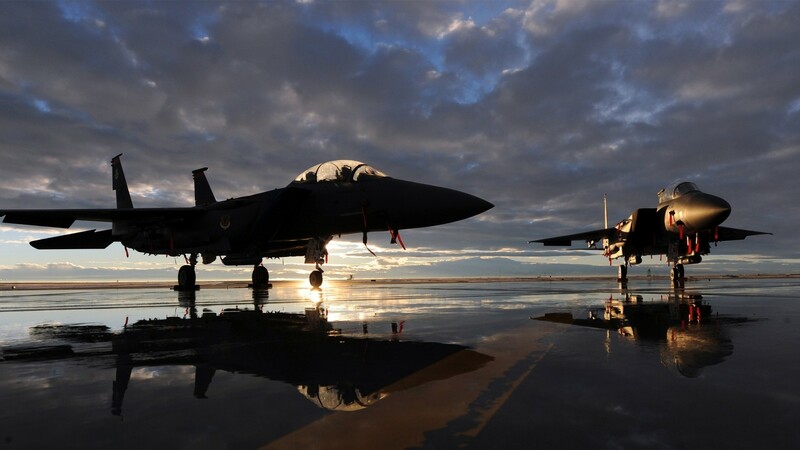 Download desktop wallpaper Two U.S. military aircraft Jet Eagle F15 at dawn 1920x1080. Desktop Wallpaper Two U.S. military aircraft Jet Eagle F15 at dawn 1920x1080. To view the wallpaper Two U.S. military aircraft Jet Eagle F15 at dawn 1920x1080. in full screen, click on the picture left mouse button.